This past summer on our road trip down the east coast we spent some time in Atlantic City, New Jersey. When we arrived we really didn’t have a plan and figured we would just stroll down America’s first and longest boardwalk. I was excited to enjoy some saltwater taffy and my son was excited to play miniature golf and enjoy the rides at Steele Pier. One thing I wasn’t expecting to do was to learn about the Miss America Pageant. 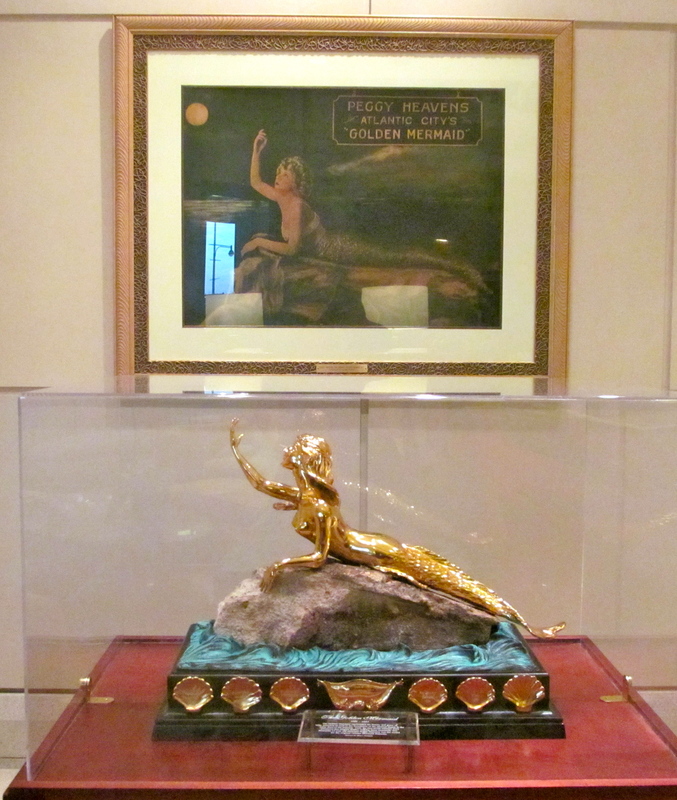 I was quite surprised after checking into to our hotel to find the world’s largest Miss America memorabilia collection in the lobby of the Sheraton Atlantic City Convention Center Hotel. Now I’ll admit my son could have cared less about the collection, but I was swept away in memories of when I was a young girl watching the Miss America Pageant on television. Honestly, until I was standing in the middle of the collection I had forgotten that the Miss America Pageant was held in Atlantic City from when it started in 1921 until 2005. In 2006, the pageant moved to Las Vegas after disputes over local funding and network television coverage. 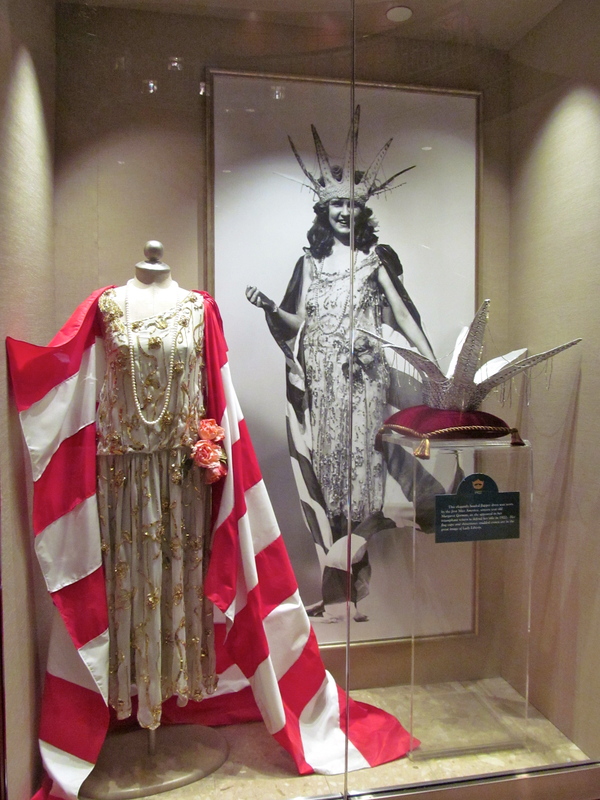 There were several dresses on display including the first Miss America, Margret Gorman’s sea green chiffon and sequined dress and the Statue of Liberty crown she wore in the 1922 competition. 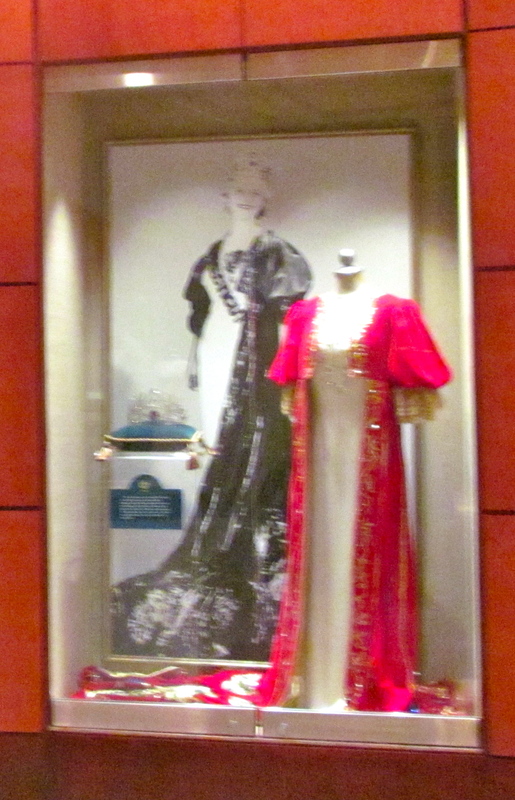 Marian Bergeron was crowned Miss America in 1933 and wore a dress that resembled a Mardi Gras gown which is pictured below. The 1943 Miss America was Jean Bartel and is known for starting the Miss America Scholarship Program. Lee Meriwether became Miss America in 1955. She was the first Miss America to be crowned on television. 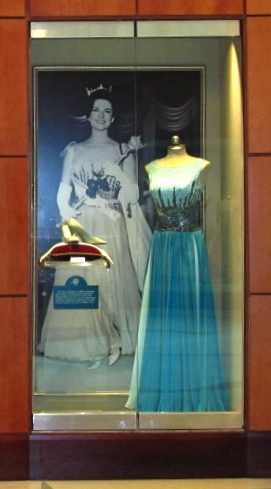 In 1967, winner Jane Jayroe wore the blue dress below. During her time as Miss America she traveled to entertain the troops that were serving in the Vietnam War. The 1971 winner of the Miss America Pageant was Phillis George who also went on to become the first female sportscaster on national TV. 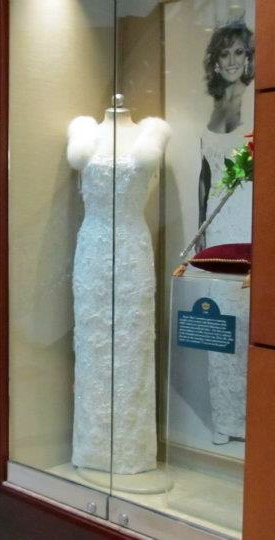 Below is the dress of Miss America 1986, Susan Akin. Her dress actually reminds me of one of my formals I wore my freshman year in college. 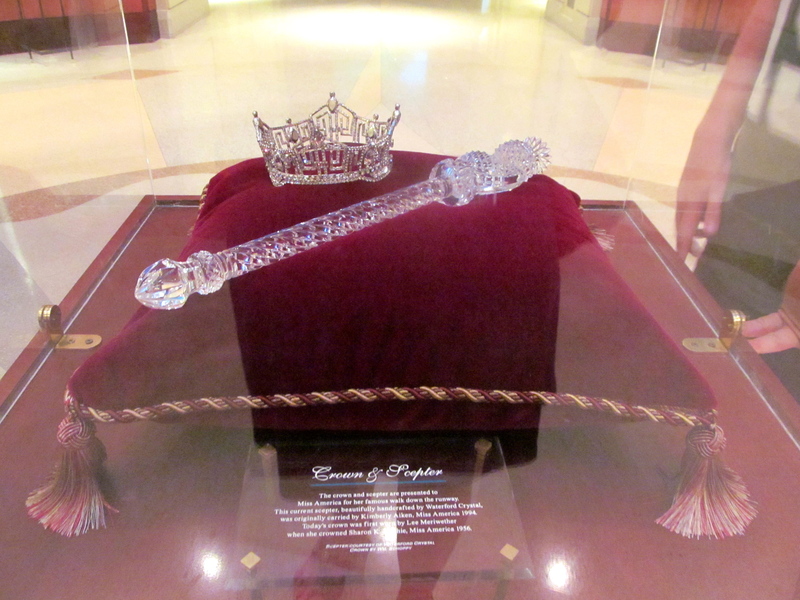 Also showcased were nostalgic pageant treasures like the Golden Mermaid Trophy and the Miss America Crown and Scepter. 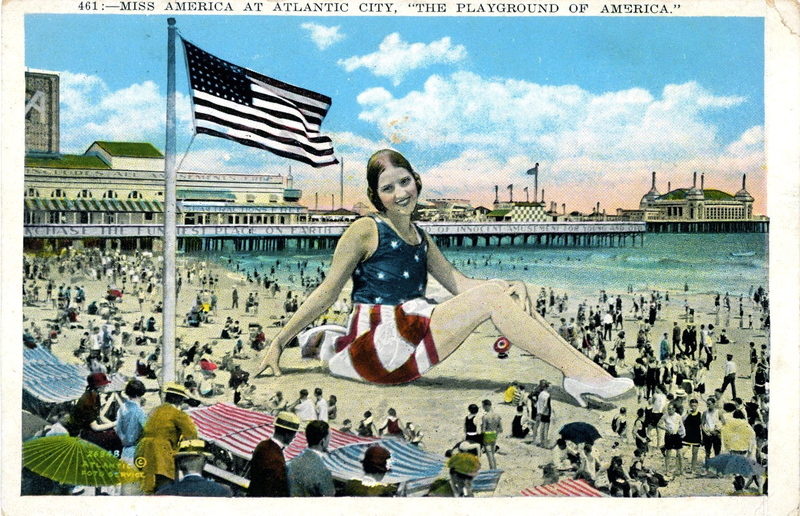 Through out the hotel there were photographs of past bathing beauties and the parade on the boardwalk which was referred to as “America’s Playground” in 1926. The history of the Miss America Pageant continues upon leaving the hotel. Along the side of the building there were plaques and shadow boxes with interesting facts about past winners like Vanessa Williams who became the first African-American Miss America in 1984 and Heather Whitestone who became the first woman with a disability to win the crown in 1995. 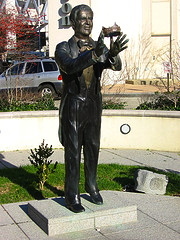 For fun you have to check out the statue of Bert Park, the original master of ceremonies of the Miss America Pageant. Make sure you step under the crown for a photo op. My son thought it would be silly, so he vetoed my “Here She Comes” moment. Sadly, the Miss America Pageant is no longer held in Atlantic City. 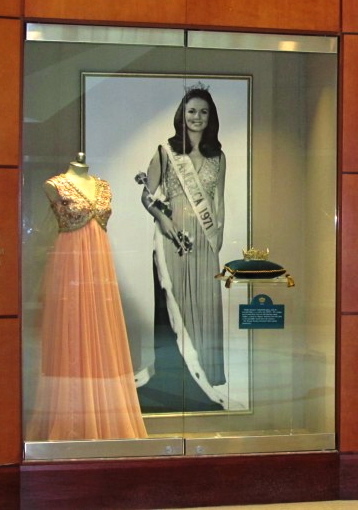 In addition to the Sheraton Atlantic City Convention Center Hotel’s collection, the pageant is also remembered via “Miss America Way”. 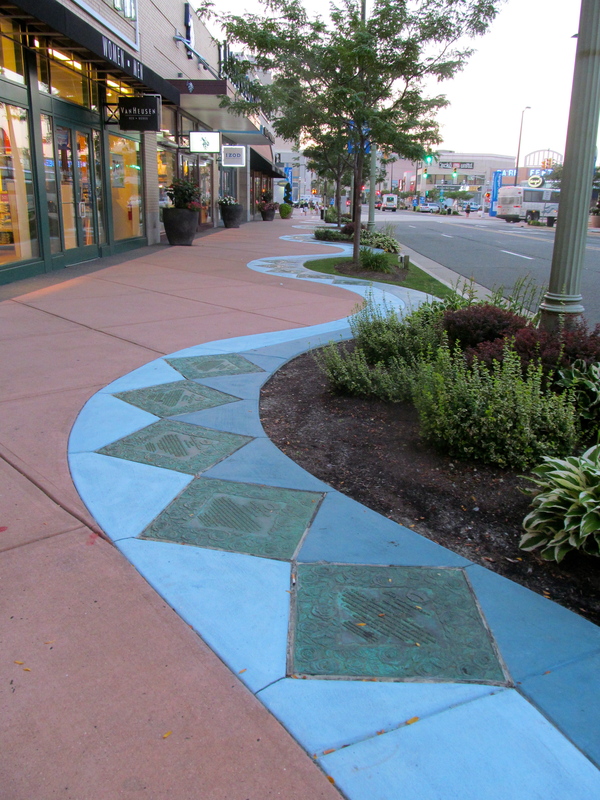 Diamonds along the sidewalk are assembled like the Hollywood Walk of Fame with each winner’s name from 1921 to 2005. If you have a thing for beauty pageants or just find the history along the Atlantic City boardwalk interesting, I have good news. 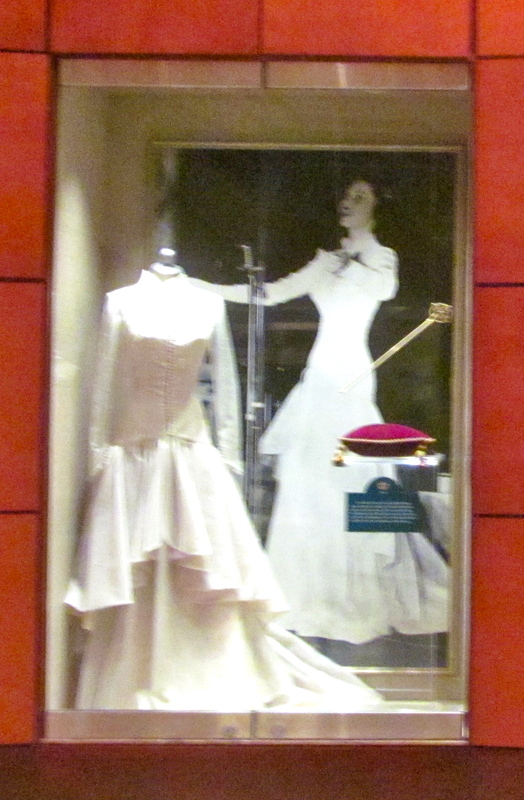 The Sheraton Atlantic City Convention Center Hotel was unscathed by Hurricane Sandy and the Miss America collection is still displayed in their beautiful lobby. I am sure the Jersey Shore, specifically Atlantic City will be doing everything they can to rebuild the historic boardwalk community and it’s landmarks in the aftermath of the storm. I hope many people will support their tourism. 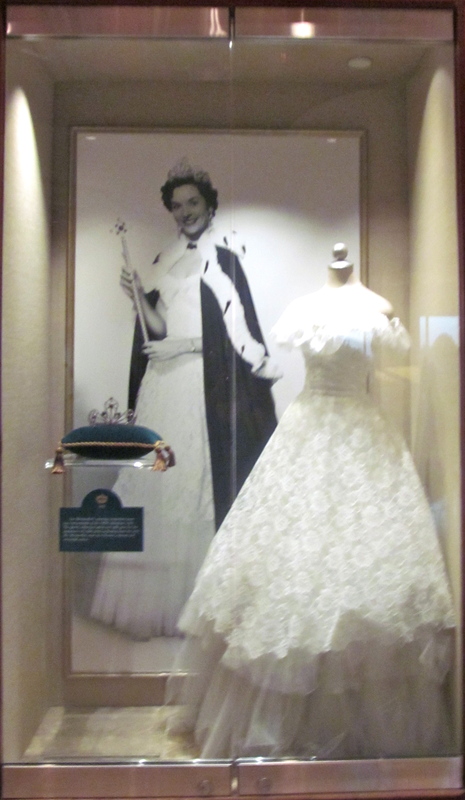 Just remember to check out the amazing Miss America Exhibit after you hit the casinos and enjoy a meal at the historic Tun Tavern. I am sure you will leave singing “Here She Comes, Miss America”! Do you plan to visit Atlantic City?